Spreading Olivine dust is a geo-engineering scheme designed to use the basic natural weathering chemistry of Olivine to chemically soak up Co2 and lock it away. Unlike White Skies, there are minimal serious side-effects. Indeed, there may even be benefits. This may produce important additional benefits, reversing the acidification of soils, rivers and oceans, and enriching soils with mineral nutrients. Oceans would receive additional fluxes of orthosilicic acid, a limiting nutrient for marine diatoms: the consequent increase in diatom phytoproductivity could increase carbon fluxes to deep ocean, or support the production of biofuels in ‘diatom farms’. Carbon capture and storage (CCS) technology attached to power stations is currently being pursued as a solution to climate change. However CCS costs are estimated as $50-$100/t CO2, while there are fears as to the long term security of reservoirs. Using accelerated rock weathering, by contrast, CO2 could be securely and rapidly sequestered for about €10/t CO2, while bringing benefits to agriculture and forestry, and restoring ocean alkalinity. Olaf Schuiling’s 1 Page PDF explains that spending about $200 billion annually on this project would solve global warming. However as an online friend shows on my Geo-engineering page, this is so much money that if invested in clean, safe, waste-eating Gen4 nukes, it would stop the worst effects of global warming in the first place! Of course, real-world application of olivine would be difficult. Actual efficiency would likely be lower; applying it would require cooperation from millions of individual farmers and landowners, ultimately covering only portions of equatorial soils. But that means negotiating farm use to the benefit of millions of individual farmers. They are (likely) the people that would be suffering the most in a climate catastrophe: so I say pay them a bit of a subsidy for this extra use of their land! The main questions around this would be economic and political: who’s going to pay, what’s it really going to cost to spread this dust around 5% of the surface area of the earth? Are we going to truck it around or shoot it into the air? There must be a few areas on earth like this where we don’t have to move the olivine dust too far to spread it. 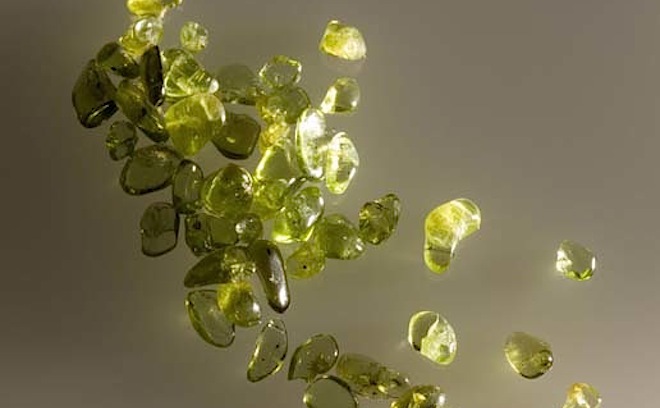 The Olivine dust solution appears to be basic chemistry with natural products. This solution might just prevent the more horrifying tipping points we’re all worried about. We may need a worldwide carbon tax to pay for the thing. Given how slow we have been to respond to climate change, I’m pretty sure we’re going to need a massive investment in both biochar and Olivine to solve global warming. 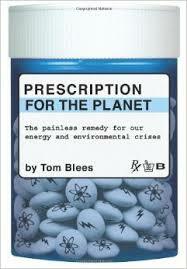 No one seems ready to abandon their fossil fuels! Wouldn’t it be better to just invest the $200 billion a year on the real solution to climate change which is clean, SAFE, nuclear energy which at that level of funding would solve this crisis in about 30 years?